Matherland is like “a beautiful story suitable for adults and children” whose goal is to offer fun and entertainment for the whole family. 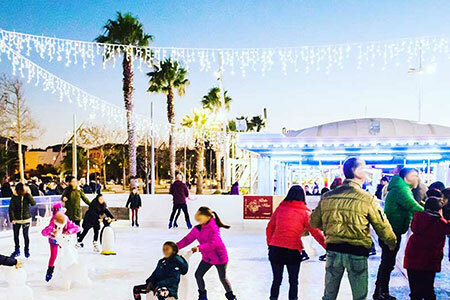 With us you can find many different attractions for each type of person! From the most electrifying and adventurous games, to the bravest, to the less demanding ones. A day with us and fun is guaranteed! Matherland moves throughout Sardinia, throughout the year! You can find us in Sassari, Olbia, Porto Torres and Alghero. 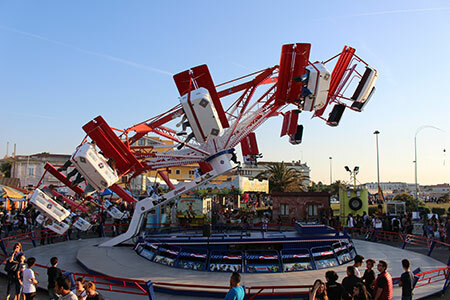 We are the only amusement park in Sardinia where you can experience the thrill of the roller coaster. 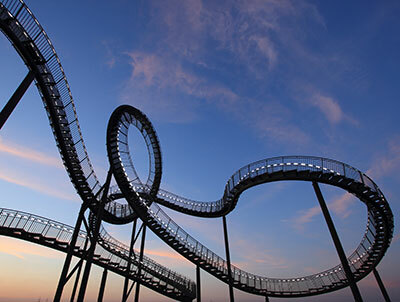 The only roller coaster in Sardinia, in our Amusement Park! The platform attraction with folding rotary revolving axis. The movement of the spacecraft is always parallel to the ground. Fixed structure with subjects with independent movement. 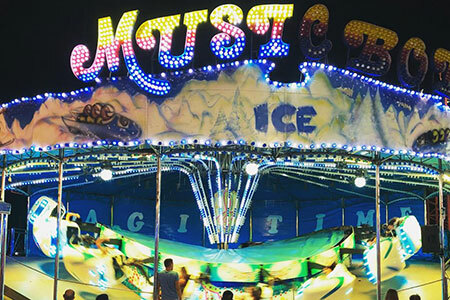 Fast carousel, rotating on itself, to the rhythm of music. The platform lifts slowly and has an almost free descent.